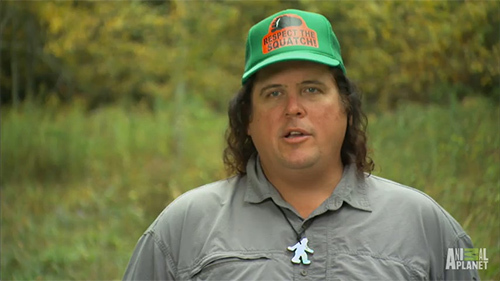 Four years ago, I was asked to be on a reality TV series now called "Finding Bigfoot". The producer pitched it as a show that would produce the definitive answer on the existence of the American Bigfoot. I said no; I'm in video games, not searching for nonexistent animals. Recreate the scene to determine plausibility, usually with the team's largest member Bobo. Conclude the area is definitely a Bigfoot "hot spot"
Note that none of these steps involving actually finding Bigfoot. 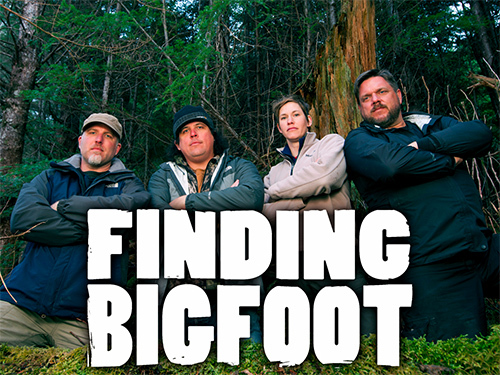 How does a show called Finding Bigfoot remain on the air for four years while failing to find a single Bigfoot? And since they go to a new location and investigate a new report in each episode, it's not like they are "closing in" on Bigfoot's ultimate lair. To what, then, do we credit the show's remarkable success? I was watching another episode a few nights ago when the answer suddenly dawned on me: I had been asking the wrong question. I had always assumed the show was determined to prove a heretofore unknown animal existed; viewed in that light, the show is a complete failure (having never proved anything). 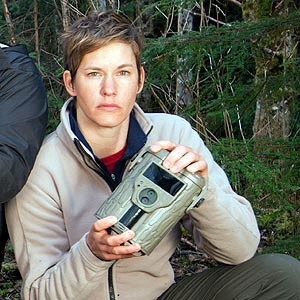 However, Finding Bigfoot takes a different approach: assume Bigfoot exists, and that each eye witness report is either a true Bigfoot encounter, or a purposeful hoax. If those are the only two possible options, then the premise is simple: each encounter that can be shown not to be an intentional hoax is therefore a true Bigfoot. Never mind they only look for Bigfoot at night, regardless of the time the eye witness claims to have seen Bigfoot (spoiler: usually not at night). I don't think the show would have survived this long without the team's trademark "night investigations". This clever device creates tension and a sense of progress for the audience. If you only look in the dark, then any blob on your thermal camera is a potential Bigfoot. Every twig snapping or thing that goes bump becomes a Bigfoot stalking you. This is essentially the same tactic employed by myriad ghost hunting shows: since there isn't any physical evidence to report, use the reactions of the characters in the show instead. My favorite part of any episode is when someone on the team, usually the leader Matt Moneymaker, says that a supposed Bigfoot behavior is either consistent with known Bigfoot behavior or unusual. Sometimes, they use this to gauge whether a report is authentic. This really blows my mind. For an animal that has never been directly observed, never directly studied, Moneymaker makes matter-of-fact claims about its known traits. Holland: Well, couldn't this be another animal? Holland: Oh, well, I guess you're right then. Bigfoot is really the only logical explanation. It's a shame in a way; I feel this is a lost opportunity. Bigfoot, while unlikely to actually exist, could be approached scientifically. 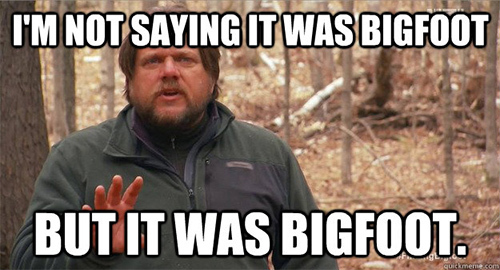 For each supposed sighting of a Bigfoot we should ask the question "what was it?". Instead, Finding Bigfoot prefers the approach "was it a Bigfoot, or was it a guy in a costume?" If the team asked a slightly different question, I think they'd find the answer is, so often, "a bear".